Our lab studies the development of neural circuits and the role the external environment plays in shaping these circuits. We use a combination of electrophysiology, molecular biology, behavior and imaging to address these questions. We are part of the Department of Neuroscience at Brown University, and are also affiliated with the Brain Science Program and the Center for Vision Research at Brown. Carlos Aizenman’s departmental page. For our most recent experimental protocols visit our resources page. The long term goal of our research is to understand the role of experience in the development of neural circuits. To address this question it is necessary to first understand what mechanisms regulate and maintain the normal morphology, synaptic connectivity, excitability, and output properties of the neurons which constitute these circuits, and then observe how these mechanisms are affected by experience. Over the last few decades, research has shown that neural activity plays a critical role during the development of the visual system. However, less is known about how the visual system adapts to neural activity over a shorter time scale during development. This is important, since neurons must be able to function within a useful dynamic range when faced with changing environmental and developmental conditions. In order to do this, neurons have been shown to homeostatically adapt their synaptic and intrinsic electrophysiological properties. Little is understood about how these processes function in an intact system under physiologically relevant conditions. By understanding how the developing nervous system responds and adjusts to periods of enhanced activity we can begin to comprehend how this activity can be maximally utilized to guide long-term developmental changes. In our research we address these issues by taking advantage of the Xenopus laevis tadpole visual system. 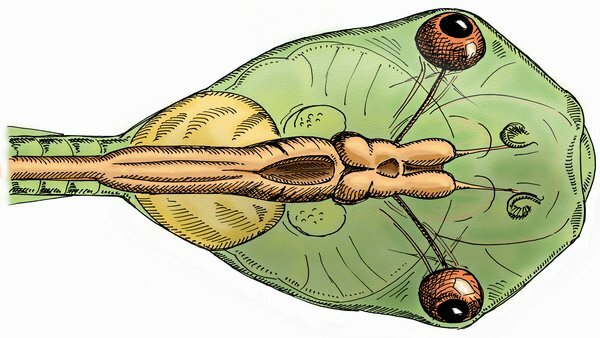 The optic-tectal neurons in the tadpole receive direct monosynaptic inputs from the contralateral retina. The synaptic and dendritic maturation of tectal neurons is well characterized and provides a starting point from which to study the roles that visual experience and a variety of signaling mechanisms play in these processes. Moreover tectal neurons are easily accessible, allowing us to take advantage of several established techniques for altering gene expression in individual neurons and then observe the effects of these genes of interest in the electrophysiological and morphological properties of these cells. Our research spans multiple levels of analysis, ranging from the regulation of individual currents at the single neuron level, to how multiple neurons combine to form a functioning circuit and ultimately to how this circuit mediates visually-guided behavior. We use a combination of in vivo molecular manipulations, single cell electrophysiology in vitro and in vivo, Ca++ imaging, confocal imaging and behavioral testing to address these questions. Ultimately we hope to understand how all these levels of function are integrated to create a functioning visual system, which is both flexible and adaptable yet is able to function robustly during development. Our lab has received generous funding from the Klingenstein Fund, The American Heart Association, The Whitehall Foundation, the Siravo Foundation, The Rhode Island Foundation, the Rhode Island Space Grant (NASA), the National Science Foundation and the National Eye Institute of the NIH.